Jackson dedicated his latest anthology, and a share of its sales proceeds, to the Vanessa Behan Crisis Nursery in downtown Spokane. Jackson and his wife have volunteered at the crisis nursery weekly for the past seven years and are happy to support a cause about which they care deeply. “My goal for this anthology is to show various aspects of what it means to be a child – topics like the magic and challenges of childhood; aspects like sleep and eating; the role of play; and of course the crucial importance of parents and others who help shape people,” Jackson says. 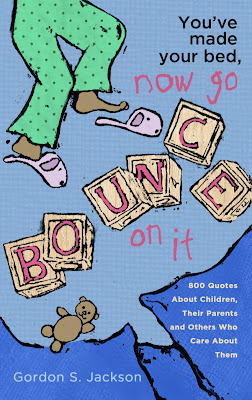 “As I wrote in the book’s introduction, every one of us can relate to being a child, as we’ve all been there. “You’ve Made Your Bed will be a nostalgia trip for some, a source of inspiration for others (like parents of young children), or an encouragement for those who interact with children – like grandparents, teachers, daycare providers and babysitters,” Jackson says. 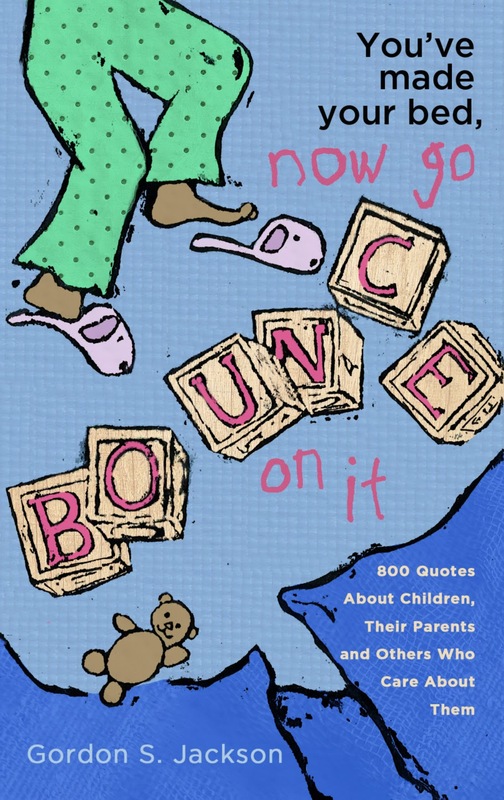 You’ve Made Your Bed, Now Go Bounce On It is currently available on Amazon.com, in Spokane at Auntie’s Bookstore and Atticus Coffee & Gifts, and at the Whitworth Bookstore, which can be reached at (509) 777-3277 or by clicking here. Jackson, a native of South Africa, joined the Whitworth communication studies faculty in 1983; he served as associate dean for academic affairs from 1998-2006. His areas of specialization include journalism, media ethics and censorship, and South African media. Jackson has published six previous anthologies of quotes: Sleep Faster, We Need the Pillows: 500 Logical Lapses, Paradoxes, and Other Mental Delights (CreateSpace, 2012); The Weather Is Here, Wish You Were Beautiful—Quotations for the Thoughtful Traveler (The Intrepid Traveler, 2009); Watchdogs, Blogs, and Wild Hogs—A Collection of Quotations on Media (New Media Ventures, Inc., 2006); Never Scratch a Tiger with a Short Stick—And other Quotations for Leaders (NavPress, 2003); Quotes for the Journey, Wisdom for the Way (NavPress, 2000); and Outside Insights—Quotes for Contemporary South Africa (Human and Rousseau, 1997). Jackson is also the author of two books on Christianity and God’s guidance, Discovering God’s Will and Jesus Does Stand-Up, and Other Satires: Parables, Pictures, and Parodies for Today’s Church.